Barry Brown started RE/MAX Home Advantage in 2008. Six years later the company was purchased by Lorene MacGregor who is currently the Owner/Broker and her husband Kere who is the Operations Manager. In February of 2016, the office moved in to it’s new location, the iconic “Avenues Hair Salon” where we have created one of the finest commercial offices in Castlegar. In 2017, RE/MAX Home Advantage expanded by opening a new office in Grand Forks. From our humble beginnings we continue to grow with our agents proudly serving the Kootenay and Boundary regions of B.C. Not only are our offices the pinnacle of professionalism, we take pride in having built a culture of support, caring and complete service for our clients. We understand that purchasing a home is probably one of the biggest decisions you will ever make in your life and we are here to make buying or selling your home a positive experience. The RE/MAX Home Advantage team of real estate professionals take great pride in our community involvement. RE/MAX Associates in particular are mindful of the impact they make not just in real estate but as caring citizens. Over the years, our Sales Associates have distinguished themselves as stewards for the betterment of their communities through a variety of local sponsorships. RE/MAX Home Advantage is a front-runner in terms of giving back to the community and has chosen to focus its major fund raising efforts to the Children’s Miracle Network. 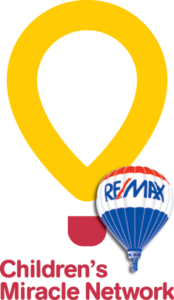 RE/MAX sponsorship of the Children’s Miracle Network and its affiliated hospitals is a prime example of RE/MAX community citizenship. RE/MAX Home Advantage is a “Miracle Office” meaning each and every year all of the Sales Associates are committed to this cause. One of CMN’s largest corporate partners, the RE/MAX network in Canada has raised millions of dollars for the charity. All funds donated by RE/MAX Home Advantage Sales Associates go directly to B.C. Children’s Hospital in Vancouver. RE/MAX Home Advantage offers a wide range of RealEstate services, serving clients in Castlegar, Nelson, and across the West Kootenays and Boundary.